The power of governments to keep things hidden from the public has come under intense scrutiny in recent years. Since former NSA contractor Edward Snowden leaked the (1) biggest intelligence scandal in NSA’s history, governments are being viewed with even greater skepticism and mistrust. Yet more government secrecy can be found, this time in relation to the UFO phenomena. In the mid to late 1970s, several members of the group Citizens Against UFO Secrecy (CAUS) used the Freedom of Information Act (FOIA) to compel the NSA and other US government agencies, to release its files on recorded UFO sightings. Consequently a document is (2) available to read on The Black Vault. The document has been stamped “Top Secret Umbra”, the code word for what is considered the most sensitive category of intelligence communications. The paper titled ‘In Camera Affidavit of Eugene F. Yeates: Citizens Against UFO Secrecy v. National Security Agency’, was once classified. The affidavit was originally filed by the NSA in a lawsuit in 1980 to justify the concealment of records about UFOs. In response to a FOIA request from researcher Michael Ravnitzky, the affidavit was redacted and posted on the Federation of American Scientists website. The document is now mostly declassified but has certain sections blacked out. 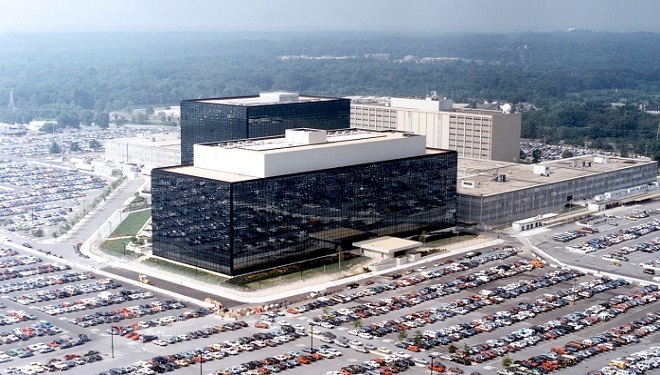 It has (3) been suggested, the blacking out of certain information is to “protect employee names, and keep NSA technologies, skills and foreign connections out of the limelight”. The document states that a total of 239 documents related to UFOs were located in NSA files. 79 of those documents originated with other government agencies. The majority of the reports cited in the paper were recorded between 1958 and 1979. The titles of some of the now declassified documents are strange and interesting. One intriguingly titled document is named UFO Hypothesis and Survival Questions. The paper states the purpose of the monograph is to consider some of the “human survival implications suggested by the various principle hypothesis concerning the nature of the phenomena loosely categorized as UFO”. Another intriguing title within the affidavit is ‘UFO’s and the Intelligence Community Blind Spot to Surprise or Deceptive Data’. The author – an unnamed employee of NSA – highlights what he – or she – considers to be a “serious shortcoming” in the NSA’s communications intelligence interception and reporting procedures (COMINT). The writer uses the UFO phenomena to show the NSA shortcomings and an “inability to respond correctly to surprising information or deliberately deceptive data”. The affidavit reveals how in 1971 communications between two airborne aircraft were intercepted by NSA. Elongated balls of fire shooting through the sky over countries other than the US are also mentioned in the affidavit. As is other intercepted reports of luminous objects, bright lights and unidentified aircraft in the sky over the United States and other countries. Does The Government Downplay The Existence of UFOs? The document also makes it clear that the release of such information for public scrutiny would “seriously damage the ability of the United States to gather this vital intelligence information”. One question consistently bugs the community of UFO believers – If the government has nothing to hide, then why does it make so many records of UFO sightings top secret and hidden from the public domain? It is important to note that when researchers filed a request for the 156 top secret UFO-related documents held by NSA as classified, they were originally denied access to all of them. They appealed the decision, but a judge denied the appeal. When the 21-page report was later released, a significant amount of information had been blacked out. As (4) UFO Evidence points out, this action is inconsistent with a government that repeatedly downplays the existence of UFOs and that there is no threat to national security. Whilst the affidavit might not reveal an incredible government conspiracy at play to hide extra-terrestrial life regularly visiting Earth, it does show the scale of global intercept operations carried out by the NSA during the Cold War.